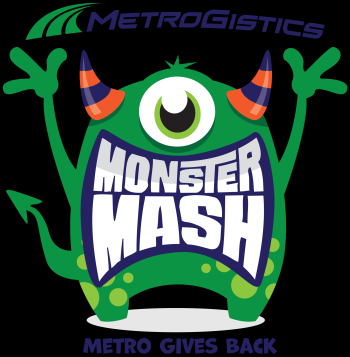 Since its founding in 2010, auto transport company MetroGistics has been committed to community involvement. This year the company’s annual Monster Mash Halloween Party raised $24,148 to be evenly distributed to Helping Strays – The Humane Society of Monroe County, Illinois, and the Humane Society of St. Clair County SNAP (Spay, Neuter, Adopt and Protect), located in China, Michigan. Around 150 attendees enjoyed the festivities Oct. 14 at the St. Louis Zoo’s Living World building. The party featured costumed guests, music, prizes, a fortune teller and a palm reader. Sponsorships from Crowe Horwath, McCarthy Leonard & Klaemerer, A&M and Hot in the Kitchen allowed for 100 percent of ticket sales to go to charity.